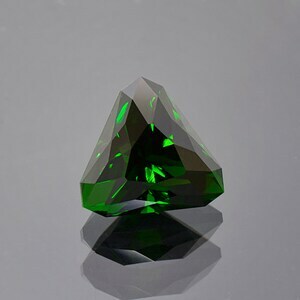 Stunning Green Tourmaline Gemstone from Brazil 2.03 cts. Size: 11.10 x 4.98 mm. 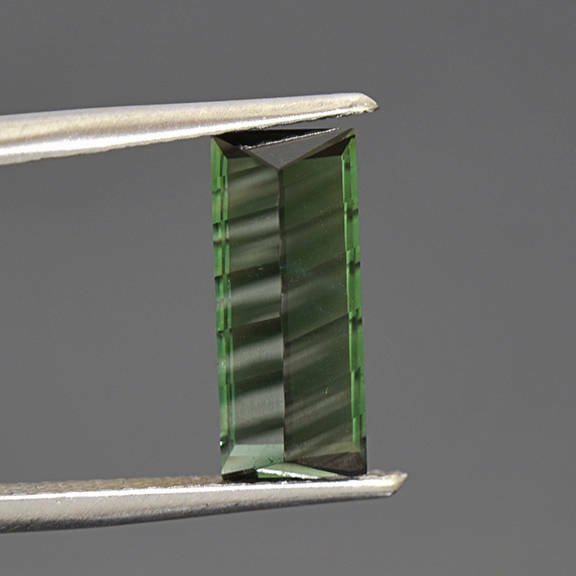 Here is a beautiful Tourmaline gem. 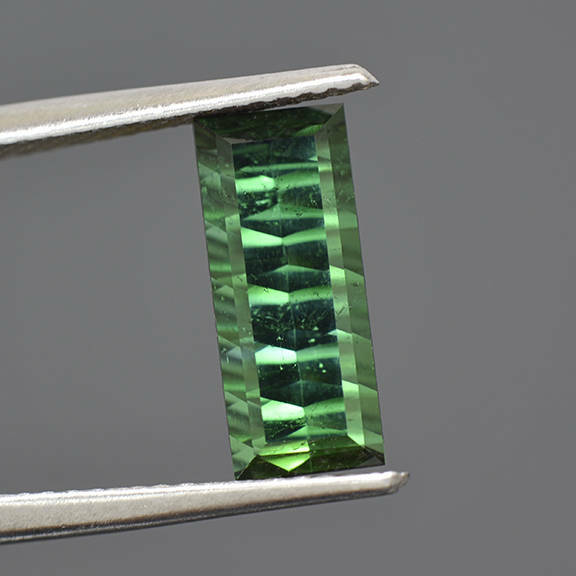 It is a stunning emerald green color with a hint of blue that saturated and quite attractive, and there is a slight silver quality to it. 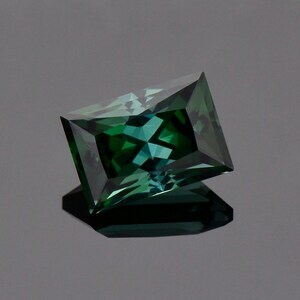 This is a new production of Tourmaline out of Brazil, from a small dig that is producing these attractive silvery colors. This elongated concave bar shape glitters beautifully in hand. Concave cutting is created with cylindrical burs that make concave cuts into the surface of the gem. The table of the stone is still flat faceted to allow for the best light return. This stone is so enchanting in person! 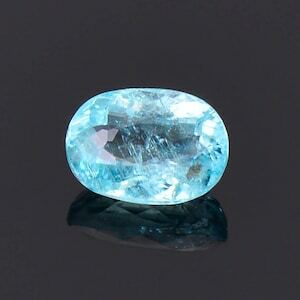 It will make a stunning piece of jewelry and would be gorgeous as a pendant. Enjoy! 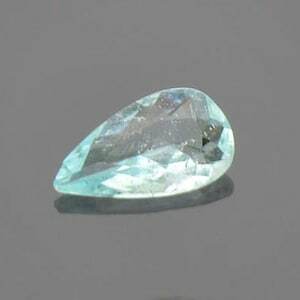 Beautiful Paraiba Type Cuprian Tourmaline Gemstone from Mozambique 1.15 cts.